The average bathroom remodel costs around $30,000. By taking the time to do it right, you ensure you get a beautiful new bathroom that you can enjoy for years. What’s more, you can expect to net around a 50 percent return on your investment when it’s time to sell your home. Maximize your ROI with our bathroom remodeling tips. Even a minor remodeling job is a significant undertaking, so you want to take the time to plan it out. Much depends on your budget, so determine what you can afford to spend and, if you need financing, expect the process to take around two months. On average, remodeling a bathroom takes close to three months. You should spend at least that much time planning your renovation, but doubling it is even better. Your goal is to make decisions on the materials and fixtures you want and create your roadmap. Once you have your plan and renovations begin, stick to your roadmap unless circumstances forbid it. Every change you make has the potential to add significantly to the cost and time required to complete the project. 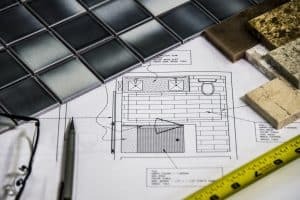 If the idea of planning a remodel feels overwhelming, or if you just don’t have the time, consider hiring a professional designer who specializes in bathroom remodeling. Your designer can assist with the planning stage, help you choose cabinets and other items, or manage the entire project. For example, Stradling’s services range from creating custom cabinets to coordinating every facet of the renovation, including installation, electrical, and plumbing contractors. It all depends on the level of service you want. If you want to see how quickly remodeling costs can add up, tear down walls and start rearranging your plumbing and electrical. Demolition and reconstruction come with a steep price tag. In addition, changing your bathroom’s current footprint increases the odds of delays and unforeseen issues. If it’s a matter of storage, there are creative options that don’t require increasing your square footage (more on that later). There are also ways to make the room feel bigger, such as glass shower doors. Your designer can help you come up with more ideas to make the most use of the space you have. 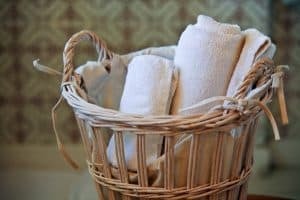 If your goal is to create a soothing, relaxing atmosphere while maximizing your return on investment, go with a neutral color scheme for permanent fixtures (floors, cabinets, and countertops). 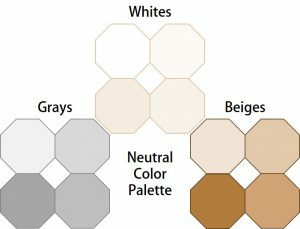 Whites, beiges, and grays go with any style, any décor, any design. And, they never go out of fashion. If you prefer bold colors, designs, and textures, you can have them, too. The neutral background works as a blank canvas for your decorative items, window treatments, and rugs. And, it makes it easy for you to change your décor and even paint walls whenever the mood strikes, without worrying whether your changes will clash with your bathroom’s color scheme. If you want countertops that look great and are low-maintenance, consider quartz over natural stone. The material doesn’t require sealant to protect it against staining and abrasions. And, it’s solid, so bacteria don’t have a place to grow. Pricing per square foot is similar to granite, and you can even find styles that mimic the look of natural stone (as well as dozens of other styles and colors). When it comes to design and renovation, some items have a bigger impact than others. One of these is lighting, which is one of the most economical ways to make a room look and feel remarkably different. Ideal light placement around the vanity eliminates shadows. It includes two overhead lights as well as vertical lighting along the sides. If your bathroom does not currently have a ventilation system, have one installed. In addition to clearing the air, they help control humidity, which improves air quality and protects against mold. Over time, excess moisture also damages paint, cabinetry, and woodwork; bathroom ventilation protects these surfaces. Talk to your contractor about where the fan vents to, which should be outside. Do not vent up into the attic or ceiling as this raises your risk of mold. If you’re ready to start your bathroom remodeling project or just have questions, contact Stradling’s today for a free, no obligation estimate.